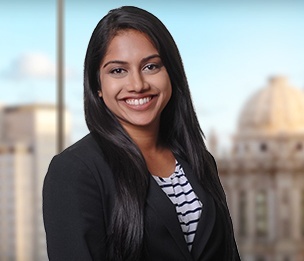 Aayushi K. Patel is an associate in Dykema's Chicago office. Ms. Patel focuses her practice on corporate finance matters. While in law school, Ms. Patel served as a judicial intern for the Honorable John Kralik, Los Angeles Superior Court, Central Civil West Courthouse. In addition, she was an Editor for the University of Illinois Elder Law Journal, Treasurer for the Women's Law Society, and a member of the Corporate Business Law Association.